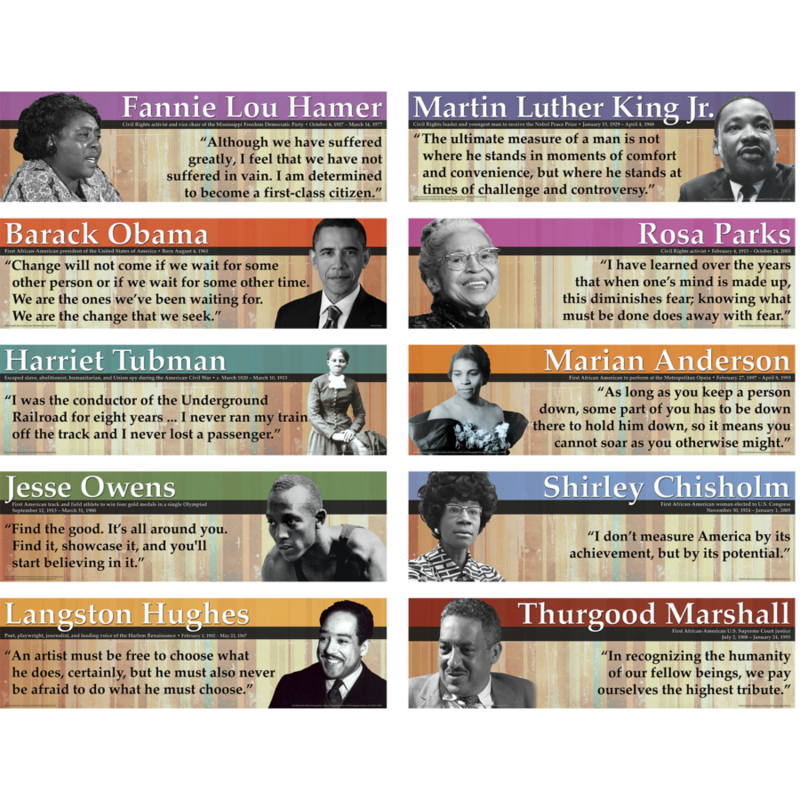 Celebrate black history with an inspirational display! 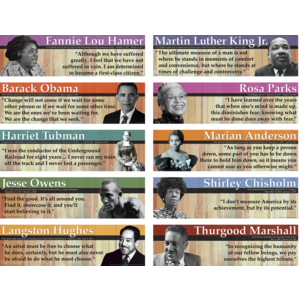 Includes photos and quotes from Barack Obama, Rosa Parks, Thurgood Marshall, Fannie Lou Hamer, Langston Hughes, Jesse Owens, Martin Luther King Jr., Shirley Chisholm, Harriet Tubman, and Marian Anderson. Includes teacher guide with reproducibles. Set of 10 pieces.